Visitors from around the world come to Milan on the fourth Thursday in July to learn the latest about no-tillage crop production techniques. 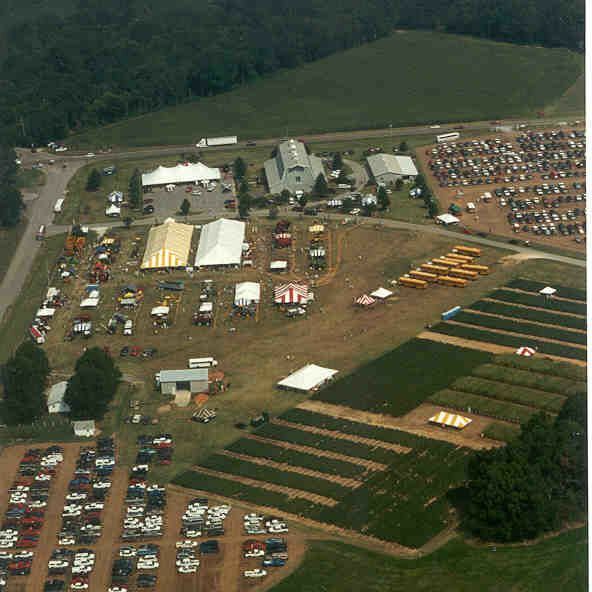 In 2016, attendance at this event included 2633 visitors from 61 Tennessee counties, 18 states (AL, AR, CA, FL, IL, IN, KS, KY, MS, MO, NC, OK, SC, TN, TX, VA, WA, WV), and Australia. Tennessee farmers in attendance reported 427,839 acres that were no-tilled and 82,028 acres of minimum or conventional tillage. In summary, the farmers who registered represented 15.4% of the total acreage in Tennessee of the four major row crops (corn, cotton, soybeans, and wheat). We sincerely appreciate the support of the Milan community and all of their assistance in making this event a success since 1981. Please let us know if we can assist you. It is our desire that you have an educational and enjoyable visit to the Research and Education Center at Milan. Thank you for being one of thousands to visit the nation's largest No-Till Field Day!